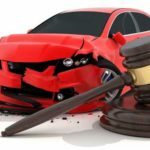 Why retain a lawyer after an auto accident? Serious car accidents are frightening and dangerous, and in fact most people are not familiar with the the sequence of events that must take place in order to file a successful claim for compensation. If you or someone important to you has been a car accident victim, your life may be forever changed because of serious injuries, emotional trauma, permanent disabilities or even a wrongful death. There are also insurance companies to negotiate with, possible medical treatment and maybe even extended convalescence. A competent Denver personal injury attorney knows how to navigate through the confusions surrounding an accident and to file a well-documented claim to demand compensation for all the damages suffered in the incident. Insurance companies operate for the profits of stockholders – their adjusters will in interviews are skilled at getting statements that could reduce claims. They can come to your door with papers to be signed to try to rapidly settle a claim for a fraction of what it should be, possibly even well before the extent of injuries and medical treatment are fully known after a car accident. Signing off on a settlement that is offered in this manner may give up rights you didn’t even know you had. It is therefore best to refrain from speaking or dealing with any representative of an insurance company regarding the accident or any of the details of injuries or your medical condition. Get in touch with our team of professional attorneys at Andrus Hood & Wagstaff and let us take that burden for you. Never provide your medical records or engage in an interview without retaining legal counsel first. Any time you have been injured in an automobile accident because of the misconduct or negligence of another, you have a right to seek compensation. We are a dedicated team of tough attorneys who are here to help victims through the settlement or litigation process to get the full compensation you deserve. We give attentive service and are proud to represent clients from Denver, Fort Collins, Boulder, Pueblo and Colorado Springs.